Tokyo, Japan: Busy, vibrant and a little bit quirky. From traditional sites such as the Meiji Shrine to the futuristic bright lights of the Robot Restaurant, Tokyo caters to a wide variety of tastes. You’ll be sure to find something to entertain you in this bustling metropolis that is home to over 13 million residents. The attraction to Tokyo is clear: it’s safe, the people are polite, the food is delicious and culture is a perfect mix of old and new. Tokyo is not to be missed and we recommend visiting this amazing city before it gets overrun with millions of other travelers. Harajuku’s quieter and more bohemian sister, Shimokitazawa is the perfect escape to get away from the hustle and bustle of skyscraper central Tokyo. 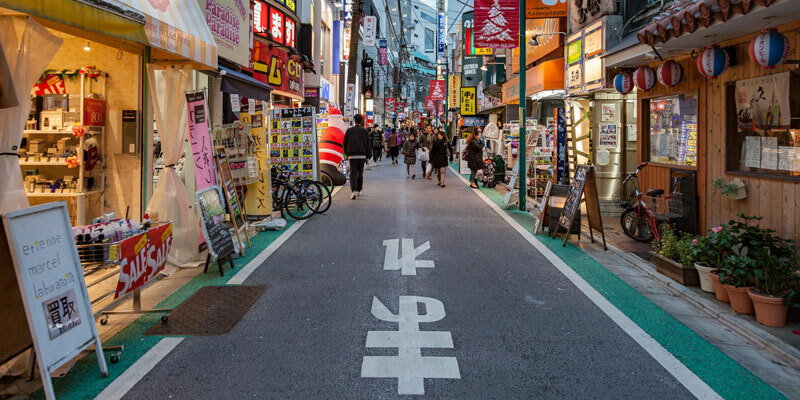 Home to Tokyo’s trendsetters, get lost amongst Shimokitazawa’s narrow lanes and two storey buildings filled with trendy boutique stores, cafes, restaurants, bars, theatres and live music venues. You won’t find cars in Shimokitazawa so it’s the perfect place to explore on foot and truly immerse yourself in the area’s culture. It’s quirky, arty and celebrates Japanese counterculture. Close to both Shinjuku and Shibuya, there are hundreds of bars and restaurants within walking distance of the station.